The WWF-Carlos Slim Foundation Partnership works in six high priority regions (Mexican Mesoamerican Reef, Chihuahua Desert, Gulf of California, Monarch Butterflies, the states of Oaxaca and Chiapas) with local, national and international partners, combining efforts and financial and human resources for sustainable development and preservation of biodiversity. Furthermore, the partnership works hand in hand with federal and state government agencies to ensure that investments actually contribute to achieving national and regional goals. At the national level, the partnership works on the issue of climate change. local organizations to execute 104 projects throughout the Mexican territory. 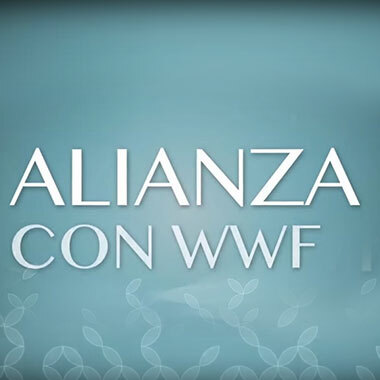 Developed by Carso Digital Innovation, the WWF-Telcel app provides information about the three endangered species that are protected by the partnership: the great white shark, the Monarch butterfly and the jaguar. In 2005, the WWF-FCS joined the efforts of the Institute of Ecology at the National University of Mexico (UNAM) and the National Commission of Protected Natural Areas to support the national strategy for protecting the jaguar and reducing the impact of activities that threaten its survival, beginning with public policies compatible with the sustainable development of each region. international and nine national symposiums for thedevelopment of proposals for jaguar protection. national censuses of the jaguar and its prey. The Carlos Slim Foundation produces a collection of publications that features topics such as the biological diversity of Mexico, its natural richness, the threats it faces and the possibilities for preservation in the long term. This collection is part of the Foundation’s efforts for the protection and preservation of biodiversity, as well as for the sustainable development of Mexico. Naturalista is a platform where users learn about the great biodiversity of Mexico and the world, share nature sightings and meet other enthusiasts and professionals in the field. Training on the use of the platform to upload information and promote the site is provided in the communities of Oaxaca, Chiapas, Tabasco, Campeche and Quintana Roo. Developed by the CSF-Conabio-California Academy of Sciences partnership, the iNaturalist App allows uploading, identifying and searching sightings with photos and location using GPS, creating a social information community with scientific-research value. sightings of species uploaded and recorded in the platform, including the discovery of new species.